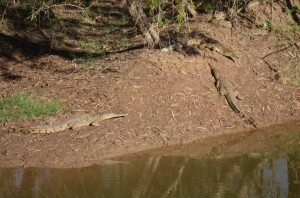 First stop after leaving Broome was a free stop at the Willare Bridge on the banks of the Fitzroy River which also marked our official entry into croc country as there were “freshies” littered along the bank. 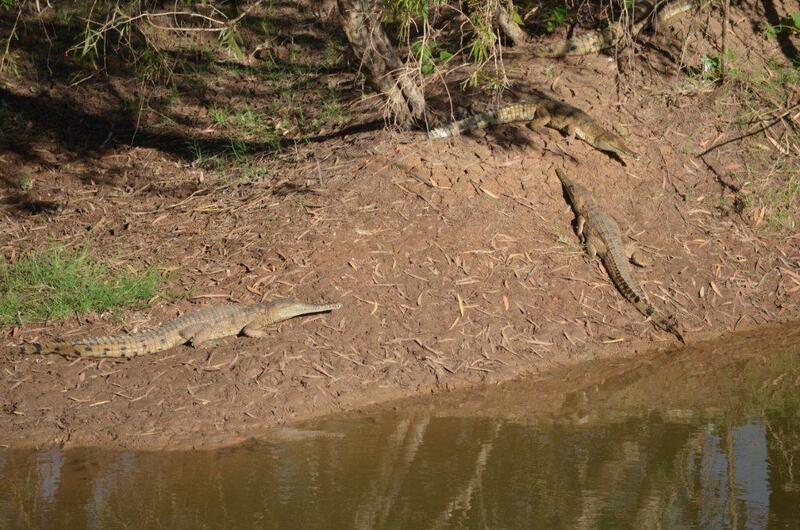 We’d driven a long way to see crocs in the wild so it was quite an exciting time for us both, however for Tara especially given her life long fascination with them. We headed up the peninsula following the reef, through Ningaloo Station and then the Defence Land. Driving just behind the dunes, there were many spots we were temped to pull over and set up camp. But being Defence Land, with no camping permitted and the fact that it was an Air Weapons Test Range we decided we’d push on into the Cape Range National Park. We left Perth chasing warmer weather and sunny skies and we certainly found it. Not an hour after leaving Perth the skies cleared and the sun came out! 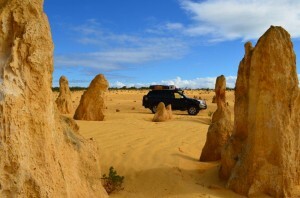 Our first stop north of Perth was at Nambung National Park which is home to the Pinnacles. These limestone columns stand amongst the sand dunes, slowly exposed and eroded over time and now watch over landscape like sentries frozen in time. Coming off the Nullabor we were glad to see some beaches again. One of the first beaches we got to was Lucky Bay in Cape le Grand Natonal Park which was absolutely stunning! 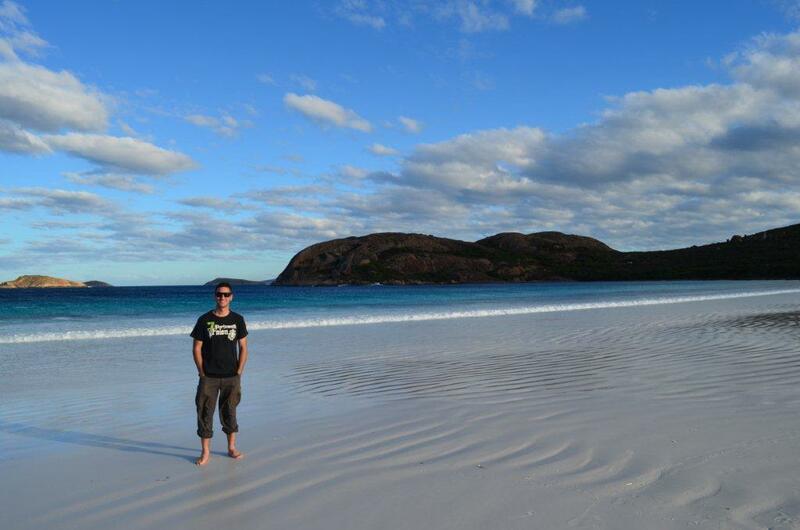 Apparently one of the whitest sand beaches in Australia and I believe it. Unfortunately by the time we pulled In the campsite was quite full and extremely windy so we headed into Esperance and setup at the more protected but far less scenic caravan park in town.